You guys!! Shopbop is currently having an amazing sale - 25% off designer sale on sale - so I thought I'd share my favorites! All the prices that you see above are an additional 25% off with the code "GETLUXE". There are so many cute items for spring and summer, so it's the perfect time to stock up. I purchased this Stylekeepers One Shoulder Ruffle Top and these tassel earrings in rose. This week, I felt very much over the cold weather and decided to cheer myself up by looking in to spring clothes. I have a blue problem (as you can see above!) and wear even more blue in the spring than I normally do. I'm glad that bell and ruffle sleeves are still in this year - they add such a fun detail to outfits! A surprising number of you said that you were interested in beauty content in a Instagram poll a little while back, so I thought I would start off by sharing one of my favorite beauty staples, tinted moisturizers. Because I don't like super over the top makeup and have fairly clear skin, I love using a tinted moisturizer for everyday makeup. A couple years ago I got hooked on makeup videos on YouTube and began practicing looks on myself. Although I greatly improved my makeup skills, I went a little crazy at Sephora and quickly earned a VIB status. I ended up with a lot of products that I didn't really need or like. Since then, I've toned down my makeup routine and my spending at Sephora. In the process, I tried a LOT of products, as you can see below. Most of these products are from Sephora, so they're on the expensive side. Although I purchase drugstore brands for my mascara, brow pencil, and powder, I strongly believe in splurging on a tinted moisturizer or foundation. 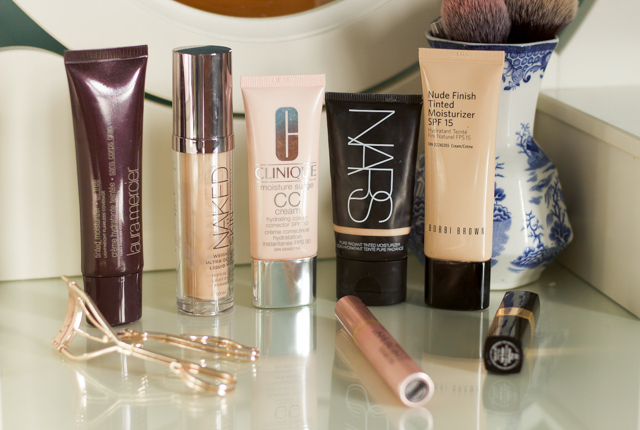 The drugstore brands just don't compare. This was my first tinted moisturizer purchase. I remember loving how it looked - natural, glowy, with a decent amount of coverage. However, within a few days tiny pimples broke out all over my face so I had to stop using it. Additionally, I wore the lightest shade and it oxidized on my skin giving me a orange tint. That being said, if your skin isn't as sensitive or fair as mine, I think this is an excellent option! My sister loves how quickly it dries without actually drying out her skin and how light it feels on her face. After NARS, I tried Laura Mercier's oil-free tinted moisturizer. This was great because it didn't break me out and also made my complexion look natural and glowy, though with less coverage than the NARS tinted moisturizer. Unfortunately this one oxidized quite badly on my skin and since I was wearing the lightest shade I had to stop using it. I've read other reviews online that confirmed the oxidation issue. If you're looking for very light coverage and can find a shade that matches your skin tone after the product oxidizes, then I would give this a try. This BB Water is very unique. It has a liquid consistency and comes in a bottle with a dropper. Their lightest shade, Fair, is a perfect match for a skin. This shade is usually sold out and I think it's because it's one of the few tinted moisturizers/BB creams that is actually pale enough for fair skin. It offers great build-able coverage and a glowy finish. However, because it's so liquid-y it has to be set with plenty of powder and this leads to major creasing. This is hands down the worst product out of the bunch. It clung to dry patches of skin on my face that I didn't even know I had and oxidized soo badly. It only comes in 3 shades which makes it difficult to match to your skin tone! AVOID. 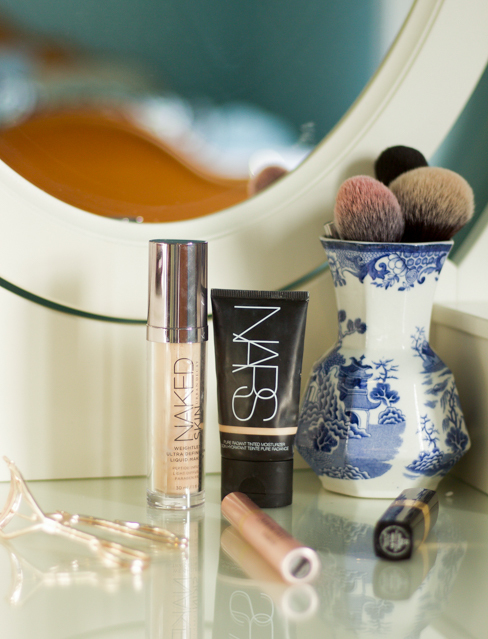 The coverage is great for a tinted moisturizer, similar to NARS, and it has a radiant, glowy finish. It's also oil free, so it never breaks me out. However, the consistency is a bit sticky, which makes it difficult to blend with a Beauty Blender. Another downside of this moisturizer is that I don't think it would work well on oily skin because it's quite dewy. It does leave me looking a bit shiny after several hours of wear (but it's nothing that a little powder can't fix). Also, it clings to dry patches which doesn't normally affect me, but if you have really dry skin I would probably avoid this product. This is an amazing foundation you guys. It's a nice step-up from a tinted moisturizer, but is still very lightweight and sheer. You can build it up for a medium coverage. The finish is gorgeous! I would wear it everyday but it seems a bit pointless for class and studying in the library, so I save it for more special occasions like a date or going out. I haven't tried many other foundations because I'm so happy with this product. When I started using fake tan, I bought this inexpensive drugstore foundation to match my tan in case I matched the color incorrectly. As it turns out, this is product is a gem. Nice and lightweight, with a glowy finish. My only issue with this foundation is the limited shade range. -NARS - If you don't break out easily and don't have super pale skin, this is an excellent pick! -Urban Decay - So natural looking! It gives coverage without the cakeyness. 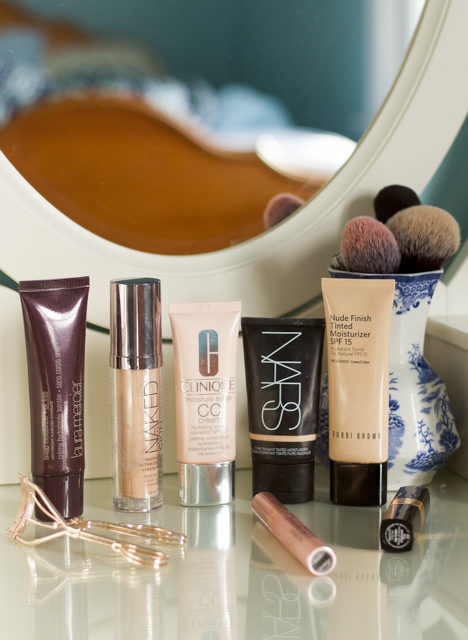 What's your favorite tinted moisturizer or light foundation? I would love to hear! I absolutely love Meghan Markle's style, especially her street style. It's classic, polished, while still being modern and comfortable. I read somewhere that Meghan believes in purchasing classic pieces, so it's no surprise that she has a closet full of beautiful, timeless designer handbags. 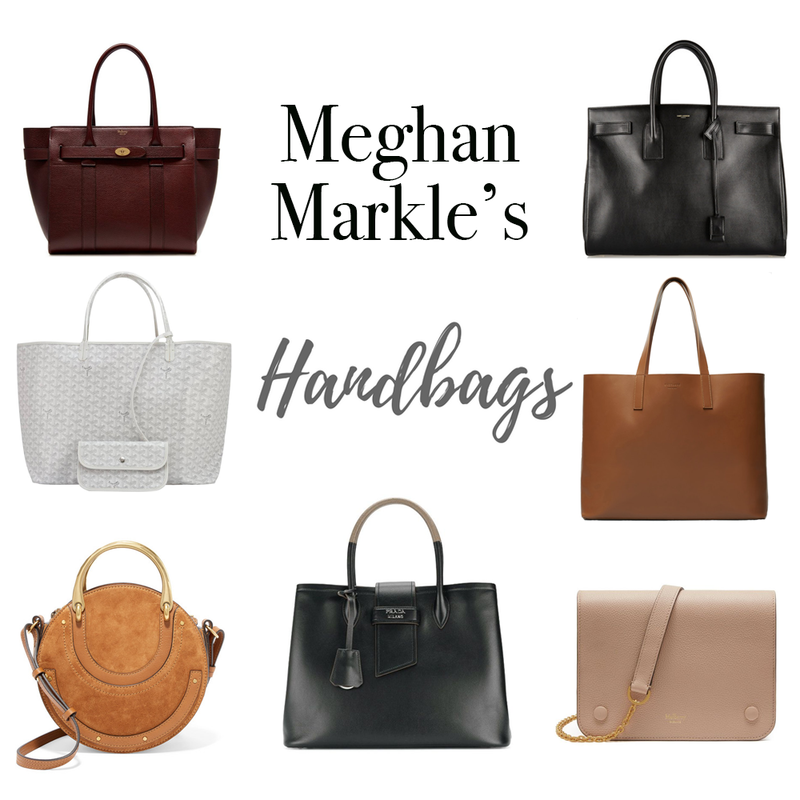 Meghan loves this bag so much that she has it in two colors - Oxblood and Porcelain Blue. I really love Mulberry's updated take on the classic Bayswater. I'm sure we'll be spotting more of Meghan wearing this British brand now that she's a future royal! This is an absolutely gorgeous bag. It's sleek, structured, and another classic. 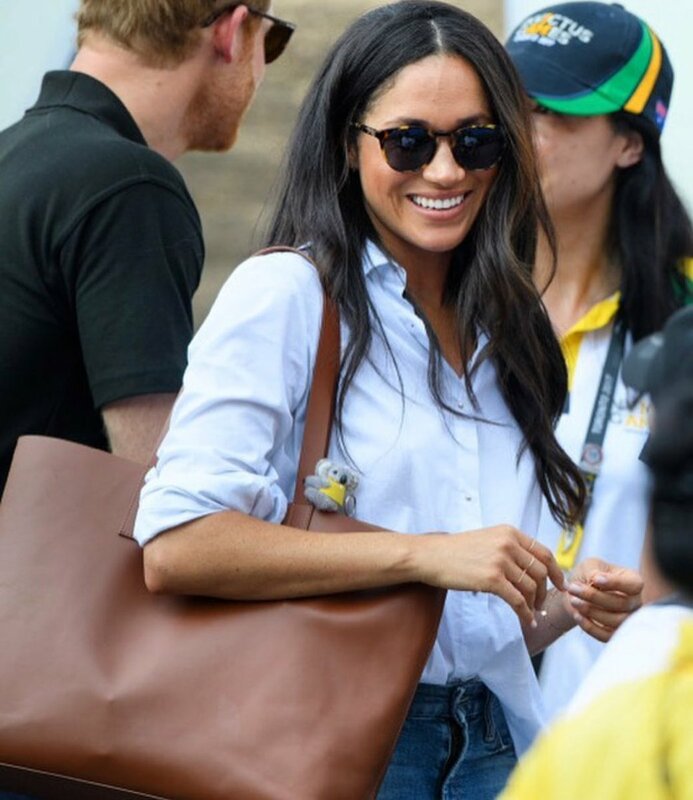 It's one of the pricier bags that Meghan has been spotted wearing. I think if I could have any bag on this list it would be this one! Meghan uses this tote as a bag for yoga and errands. I really like this as an alternative to a Louis Vuitton Neverfull. If you're looking for a more affordable bag, this is it! However, this bag is sold out on the Everlane website for the time being. Already we can see the "Meghan effect", much like we did for Kate. Meghan carried this to her first Christmas Day church service with Harry. It's definitely trendier than the other bags on the list and something we wouldn't see Kate wearing. I like how she's staying true to her own style and breaking traditions. Meghan was seen carrying this bag in London while shopping. It's definitely an investment piece, but also a gorgeous, neutral bag that goes with everything. Another bag from this British favorite. It looks like she has this in two colours: Clay and Rosewater. As we can see from Meghan's other Mulberry purchases, if she loves something she buys it in multiple colors.